All Pro Roofing & Remodeling Inc is a roofing company that prides ourselves on giving individualized attention to our clients. We are all Oklahoma born, so we understand how unique Oklahoma weather is, how it can affect structures and what material work best with our local environment. We work with the insurance companies on behalf of our customers so you don’t have to. As a roofing contractor, we help our customers with the design options to improve the appearance and overall value of their home. Lastly, we offer a complete roofing system from design, to application, to completion through the warranty period and then all over again, when it’s time for a replacement. 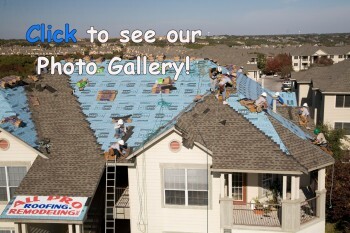 All Pro Roofing & Remodeling is a Oklahoma City roofing contractor that you can trust and depend on for a quality roof at a fair price.